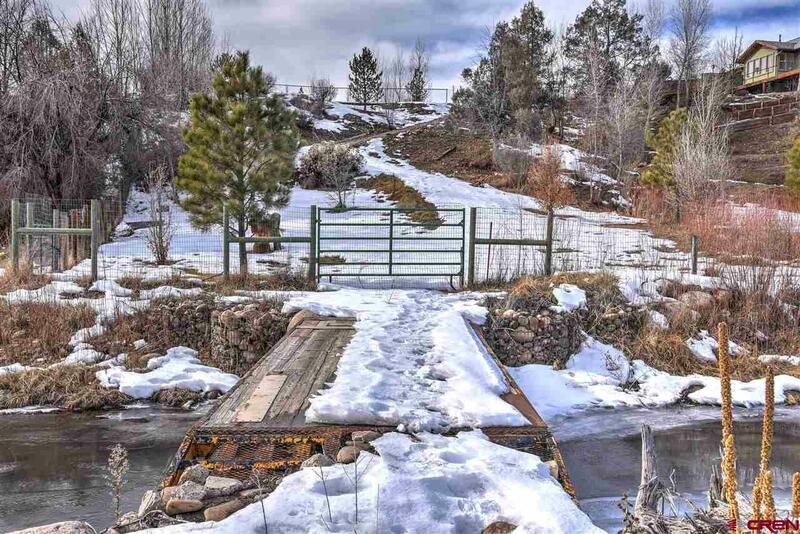 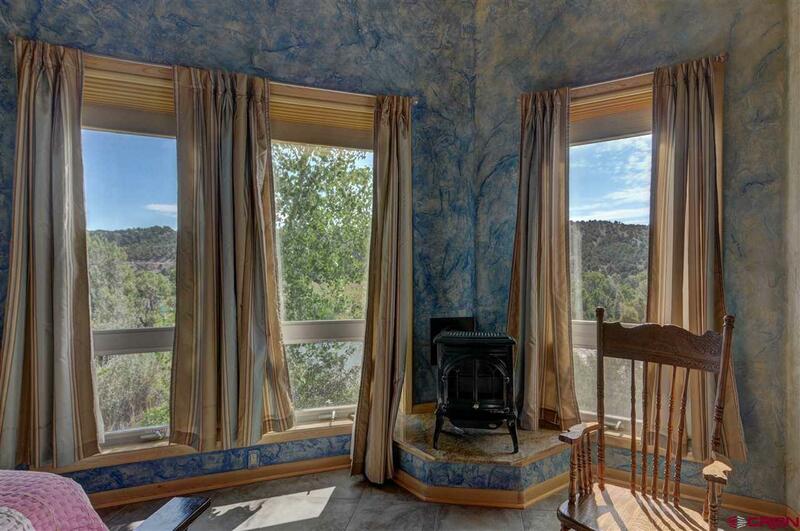 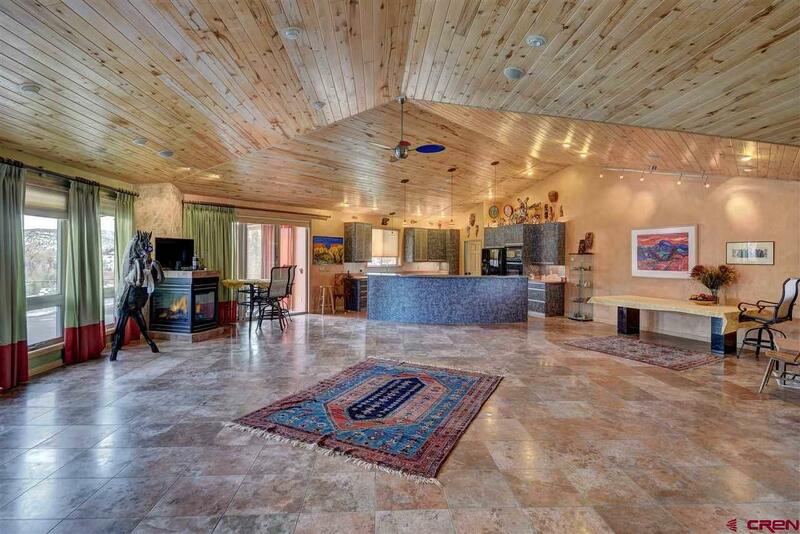 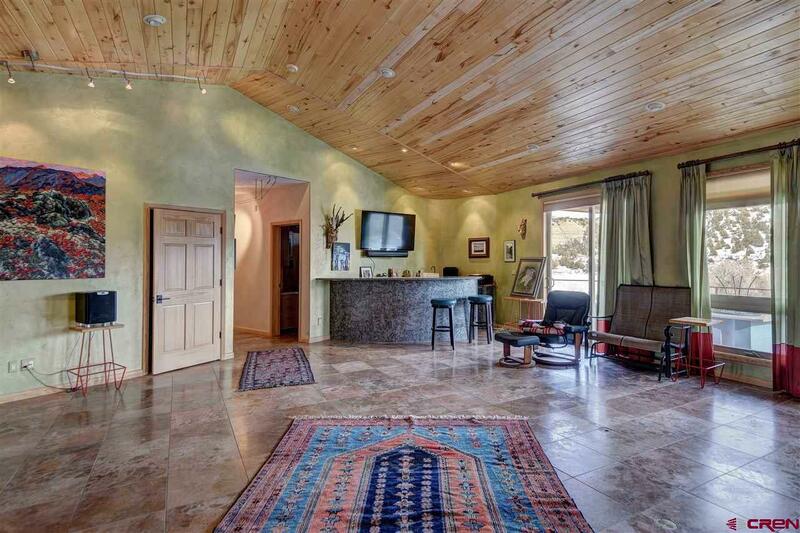 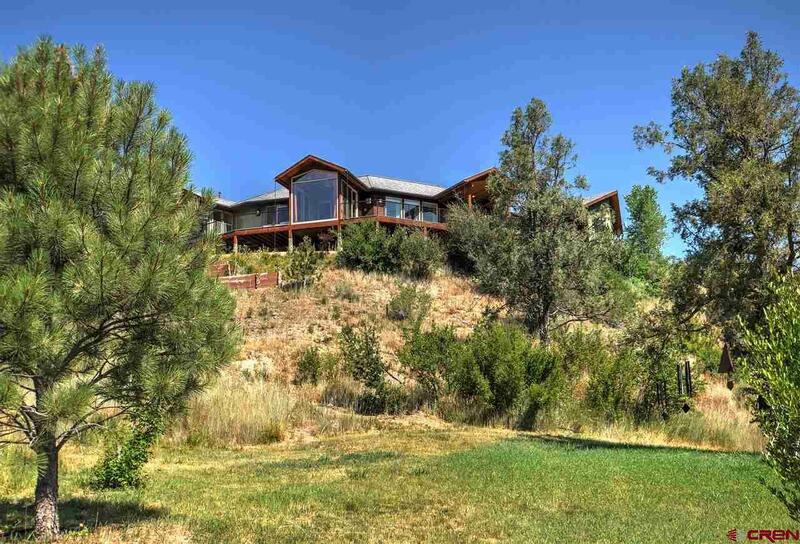 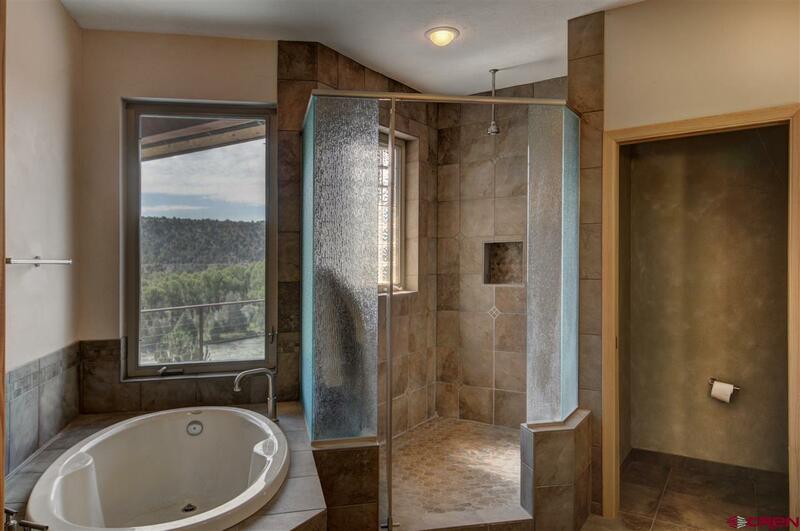 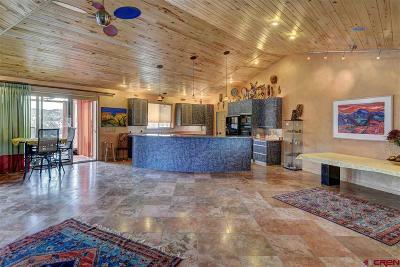 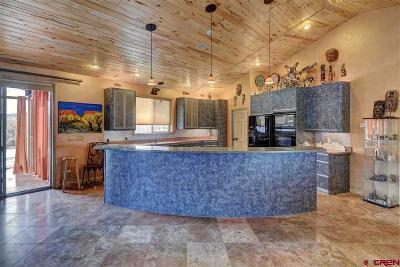 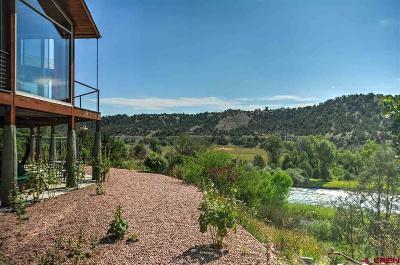 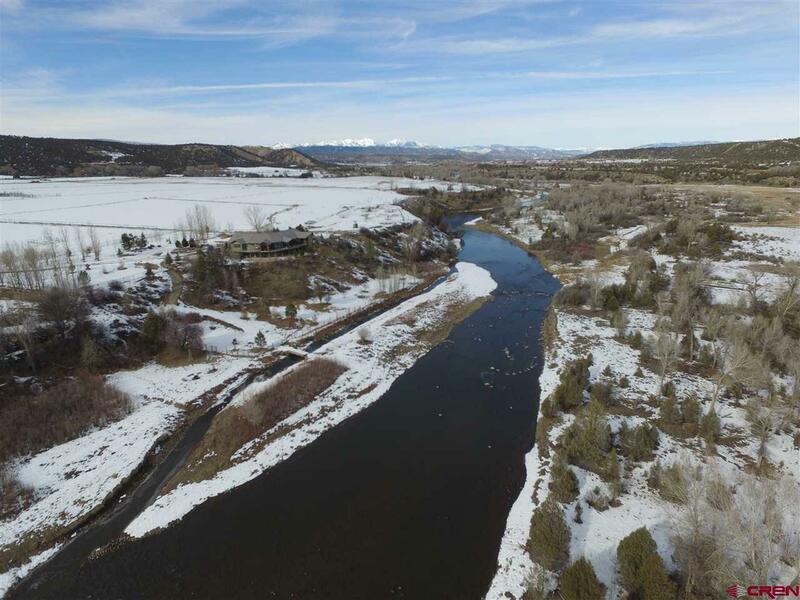 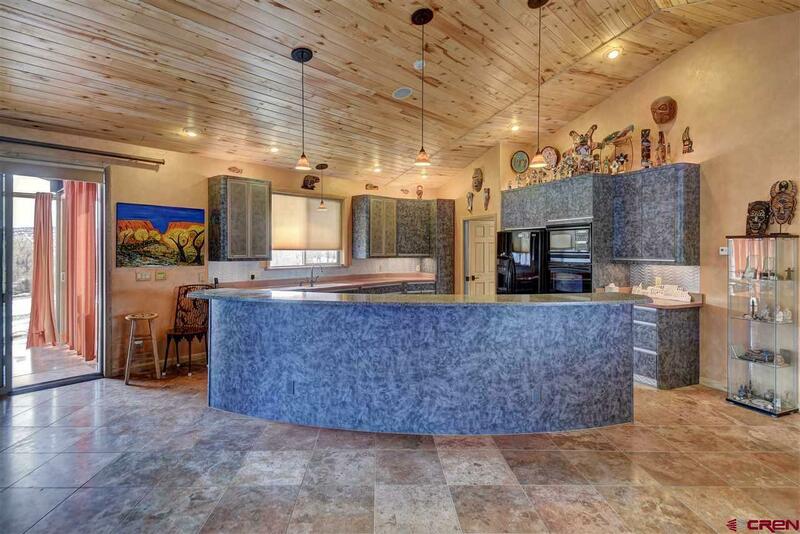 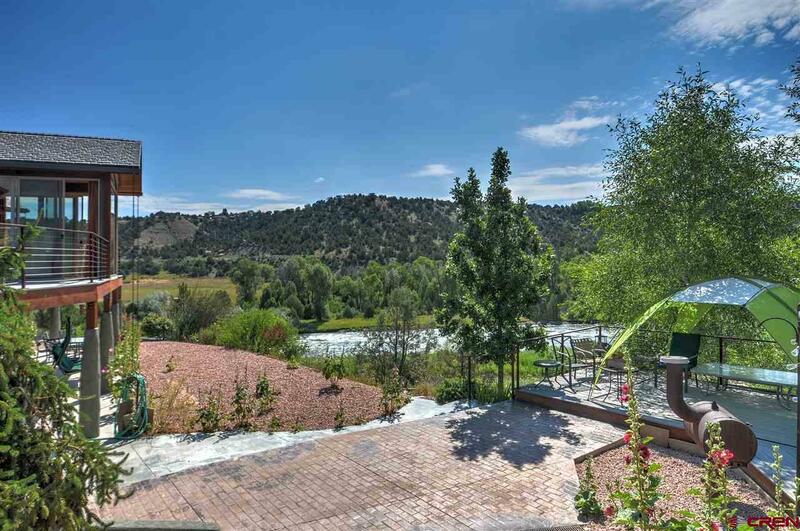 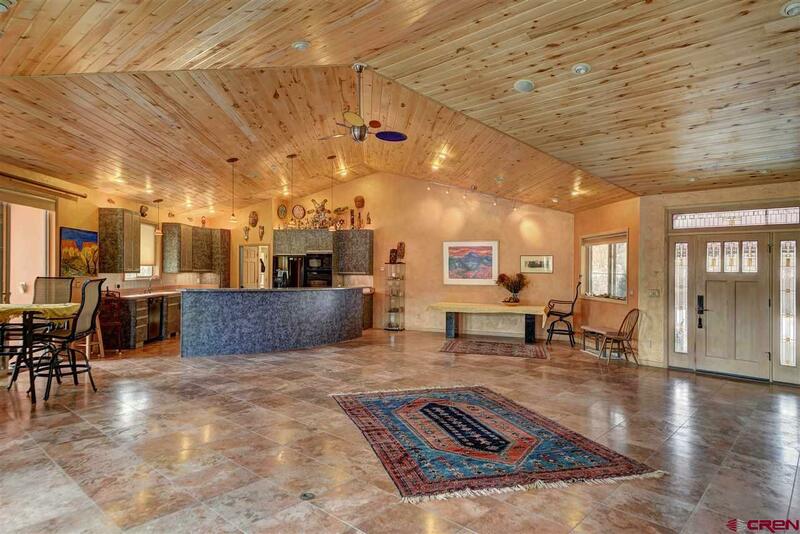 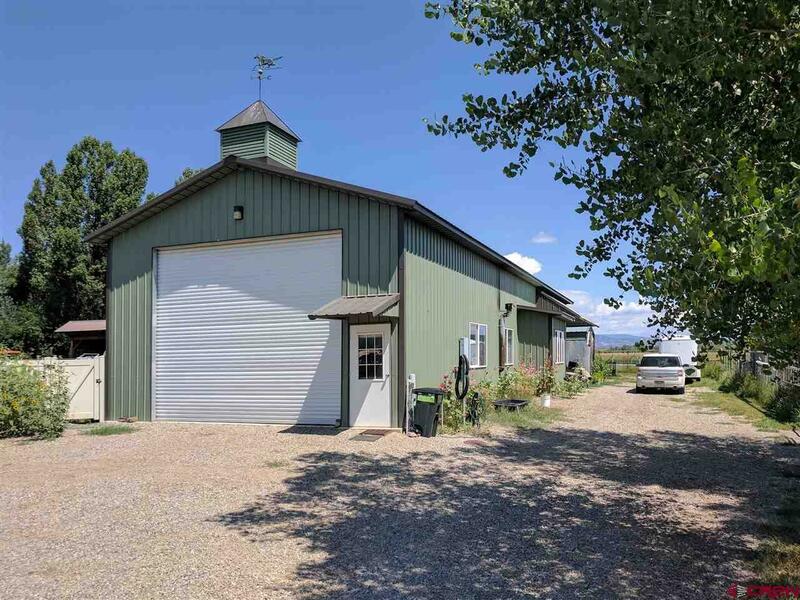 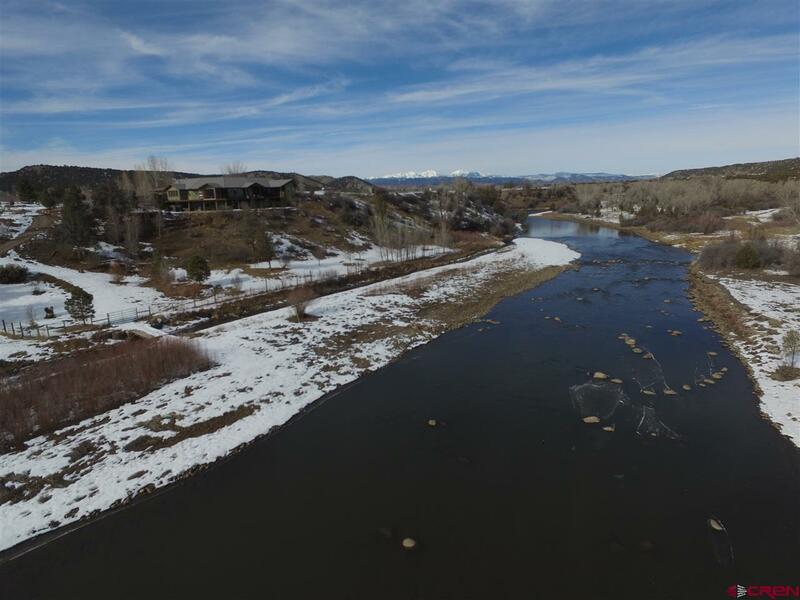 A stunning property, with exceptional views overlooking the South Animas River. This rare artistic residence is a nature lover's dreamâa true blend of form and function. 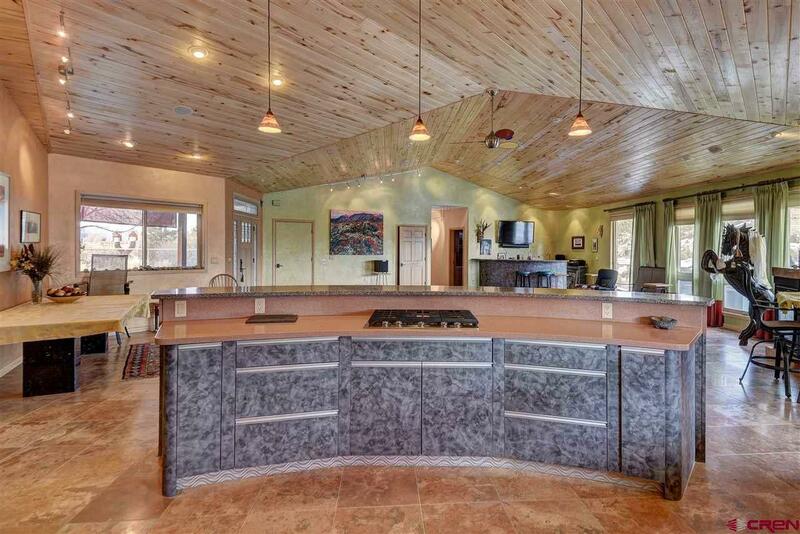 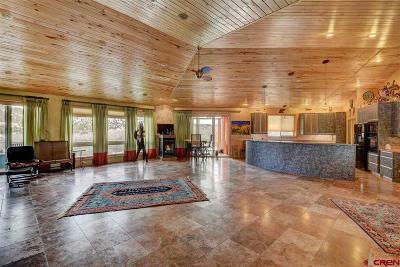 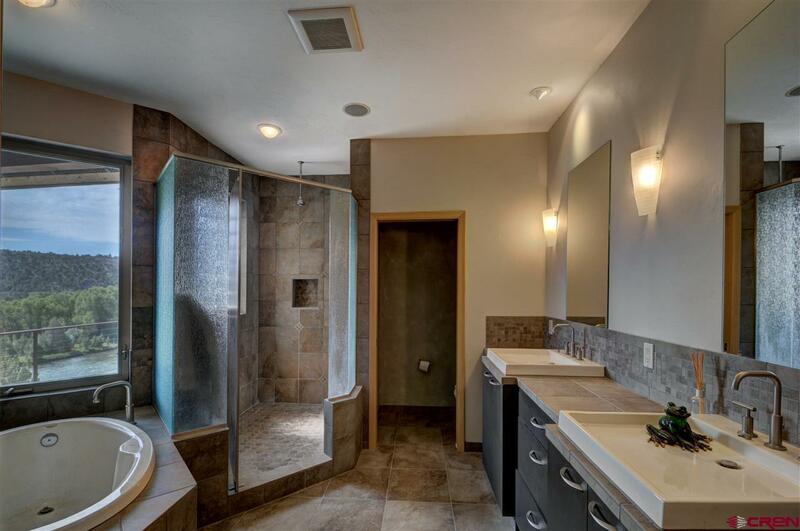 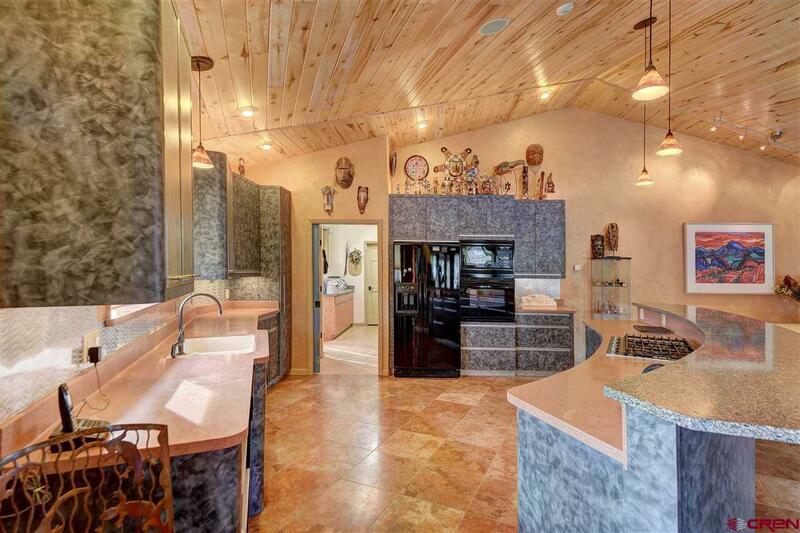 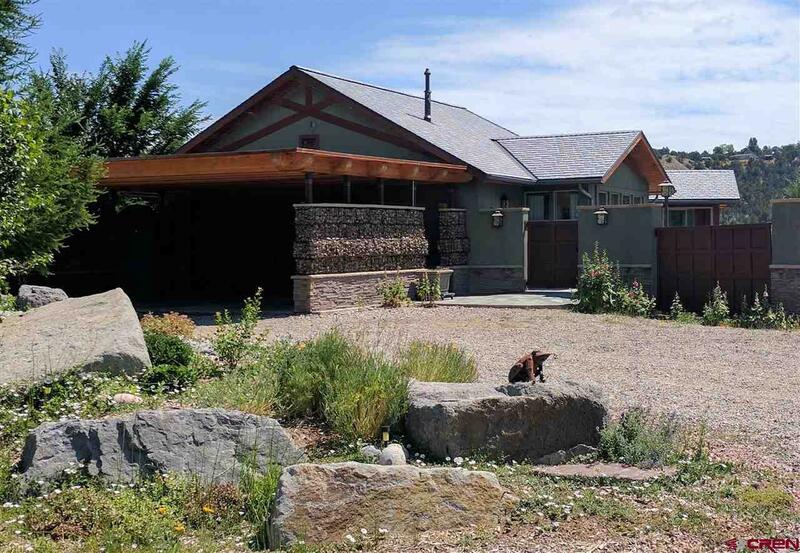 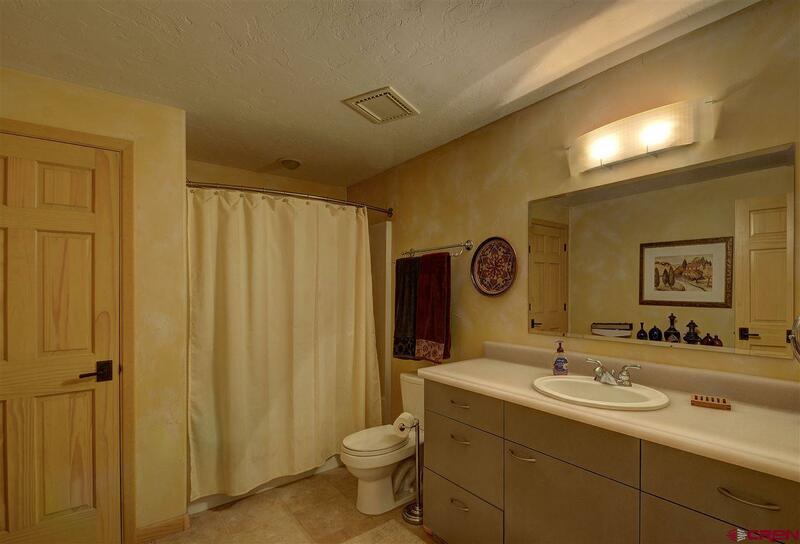 Built in 2005, this 4 bedroom, 3 bathroom, 4, 490 square foot home is an entertainer's dream. 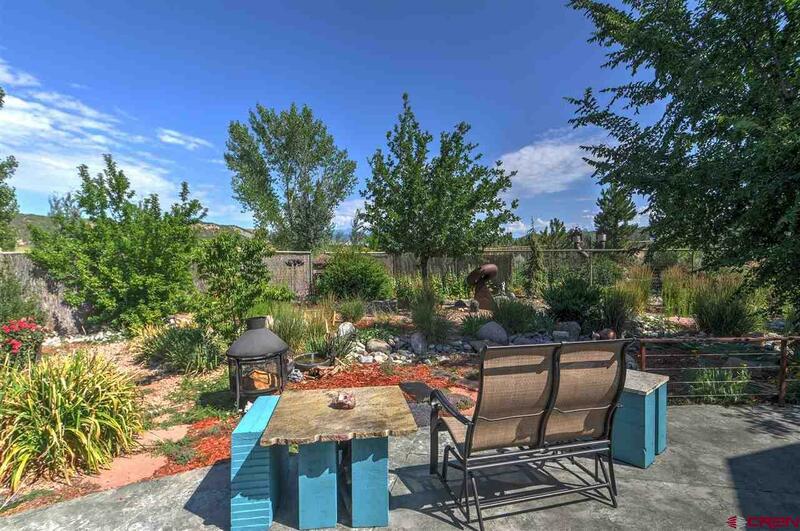 The front entry is enclosed in a garden courtyard featuring a heated concrete patio and tranquil water features. It enters into an open, airy floor plan with an abundance of sunshine and modern artistic, earthy composition throughout. 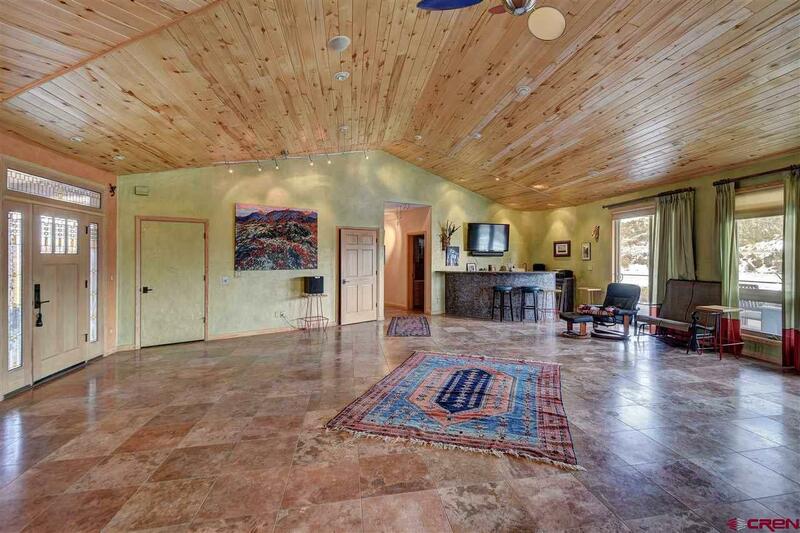 The tall tongue and groove aspen ceilings were carefully architected to be self-supported without beams and anchors the home by a massive great room featuring 18-inch heated Italian travertine tile floors. 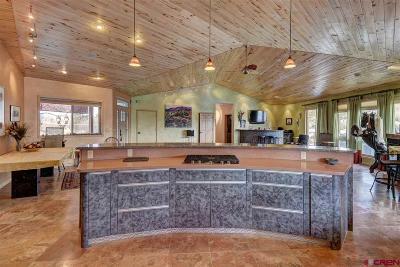 The large gourmet kitchen has a mix of granite and corian countertops, soft close cabinets and large island breakfast bar. 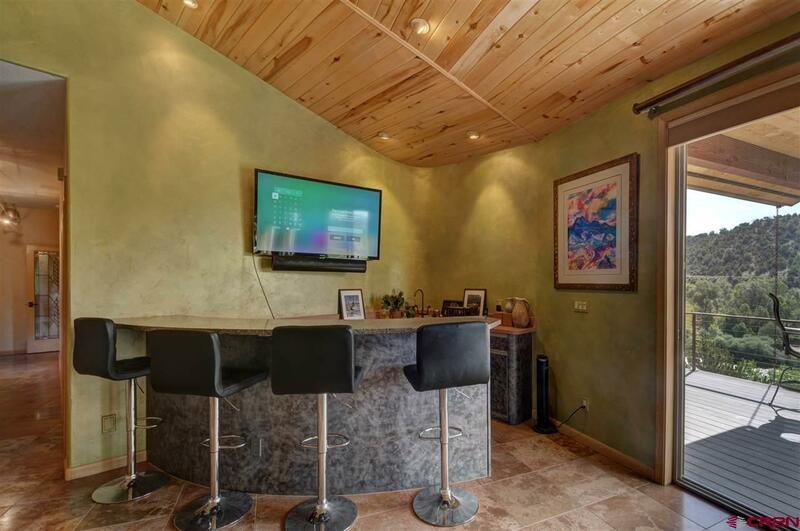 While, a large wet bar with built-ins, sits perfectly across the room, ideal for gatherings. 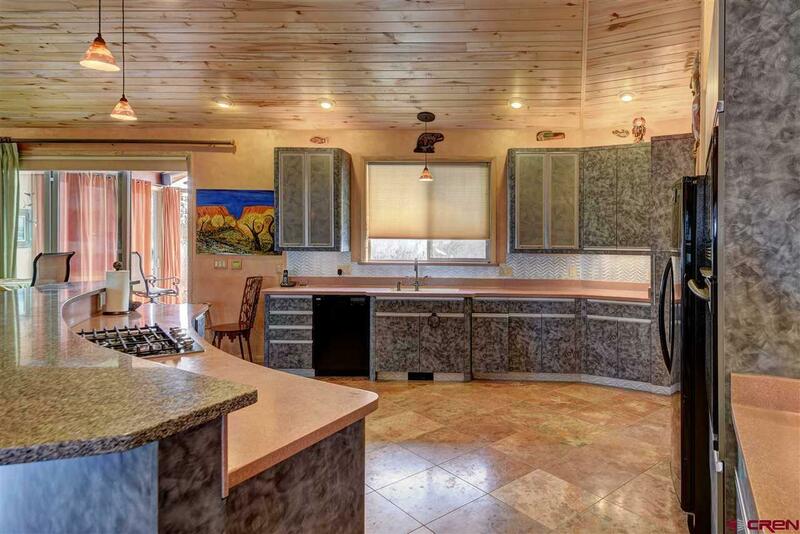 And a gas stove makes it cozy enough for tranquil living. 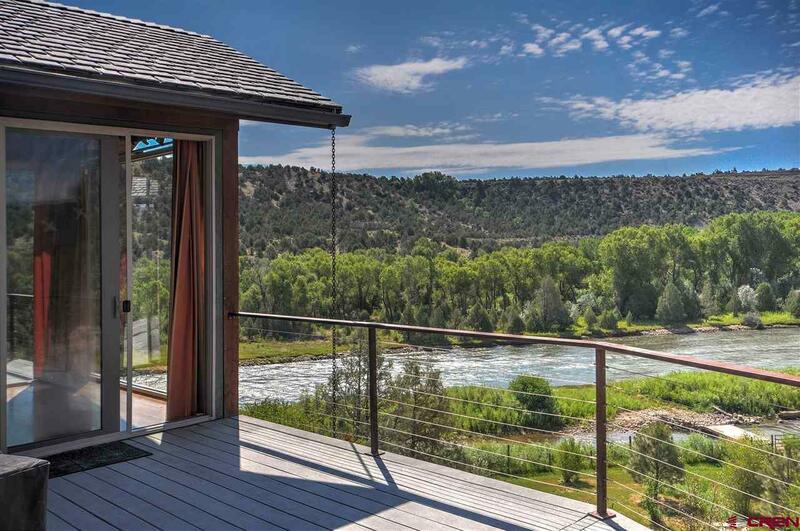 An adjacent sunroom with floor to ceiling windows has incredible sunny river views, and looks over a 2, 000+ square foot outdoor living space with an outside fireplace and garden courtyard with radiant heat. 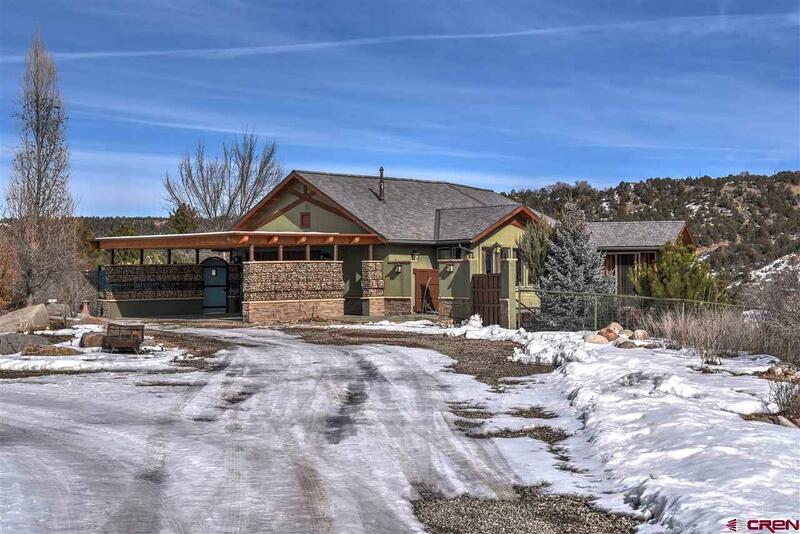 Designed for one-level living, the master suite, two additional bedrooms, full guest bath, a large laundry room, and access to the 2-car garage are also situated on the main floor. 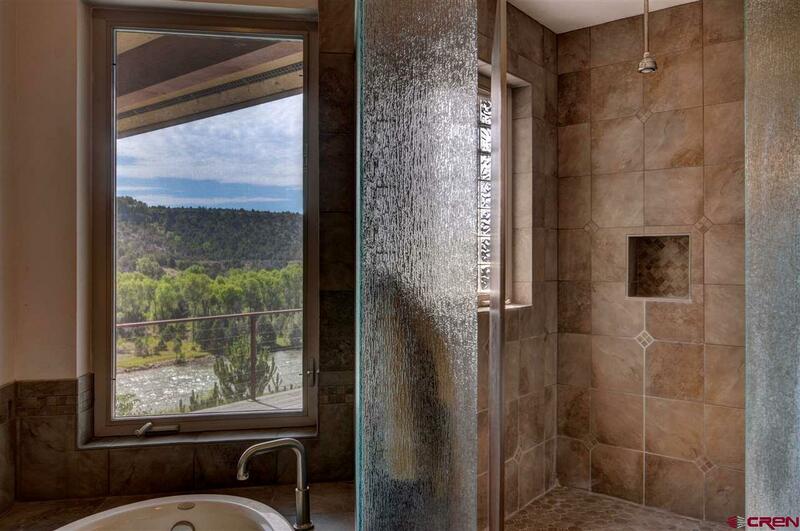 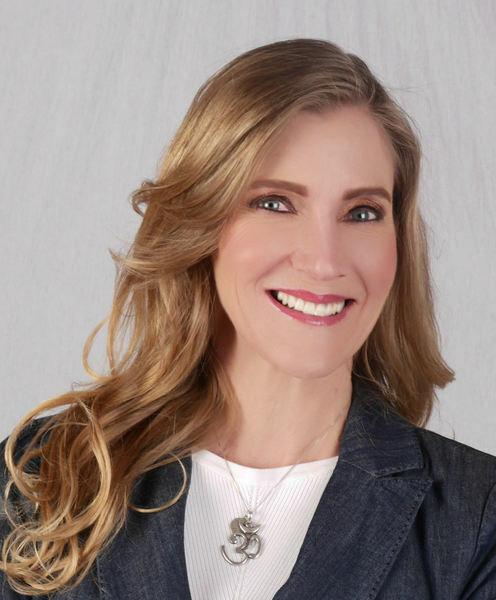 The sizeable master suite including built-ins has river views, a spacious master bath with walk-in rain shower, soaking tub and a large walk-in closet with built-ins. 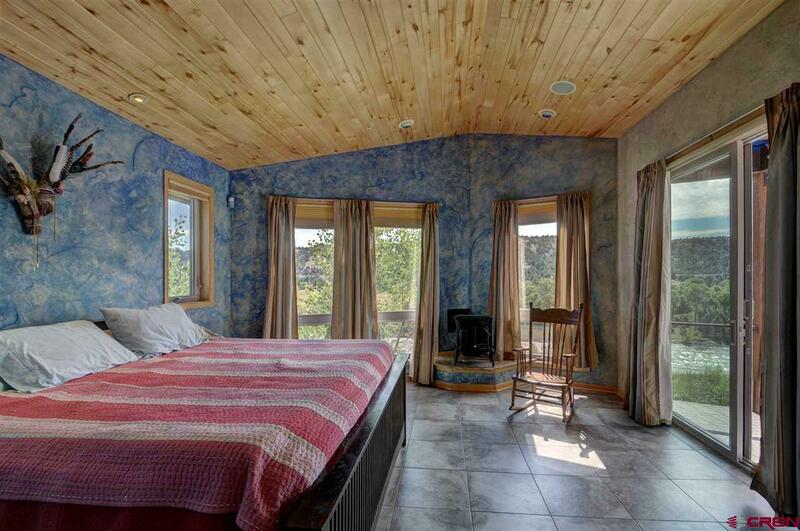 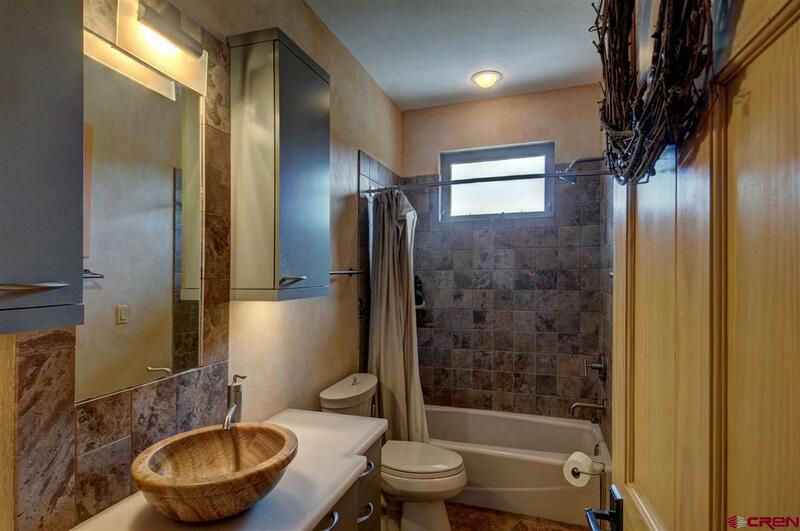 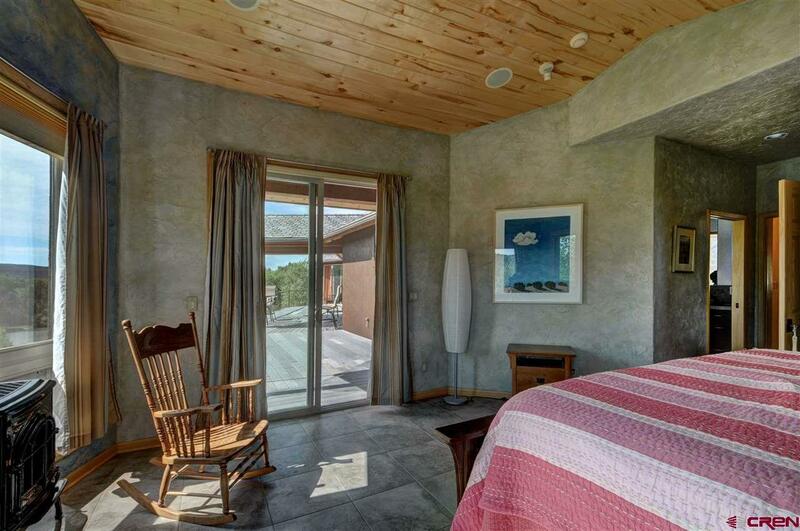 All bedrooms have custom, handmade artistic wooden doors and Venetian Plaster wall treatments. 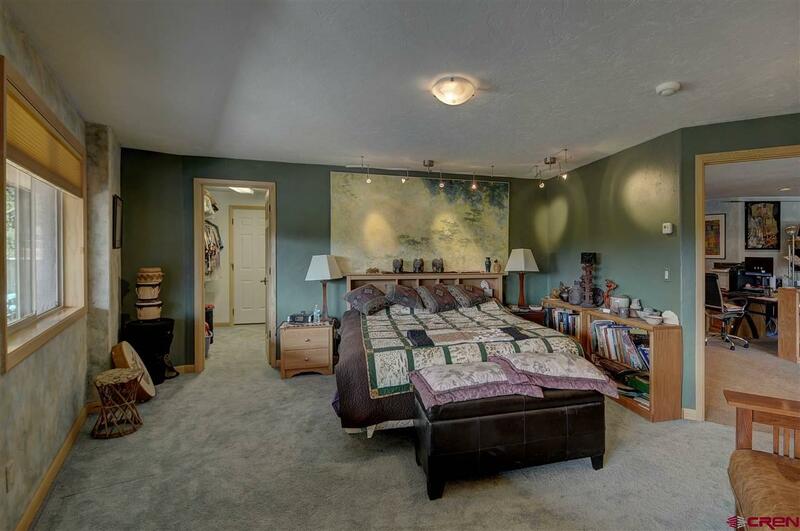 Take the stairs or in-home elevator to the lower level, for additional living space. 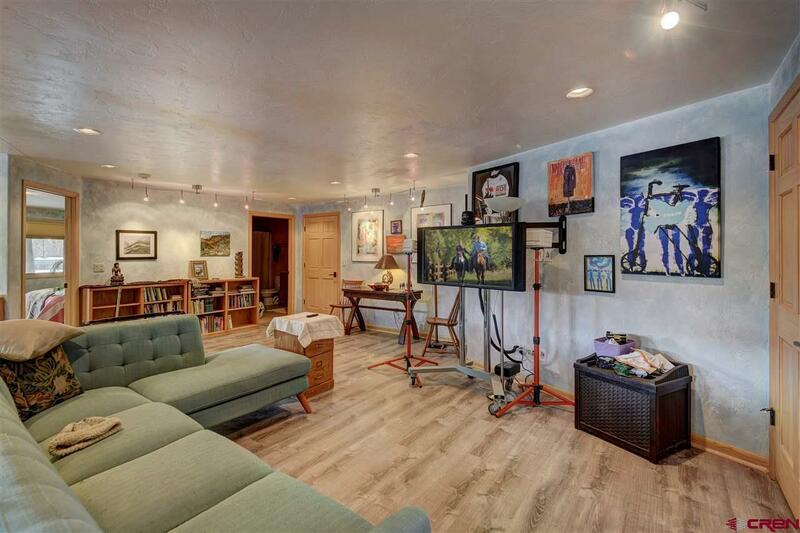 A finished great room, that could also be used as a yoga and exercise studio or large office, an additional bedroom and bath, a mudroom with dog wash, and ample storage closet space are all located on the lower level. 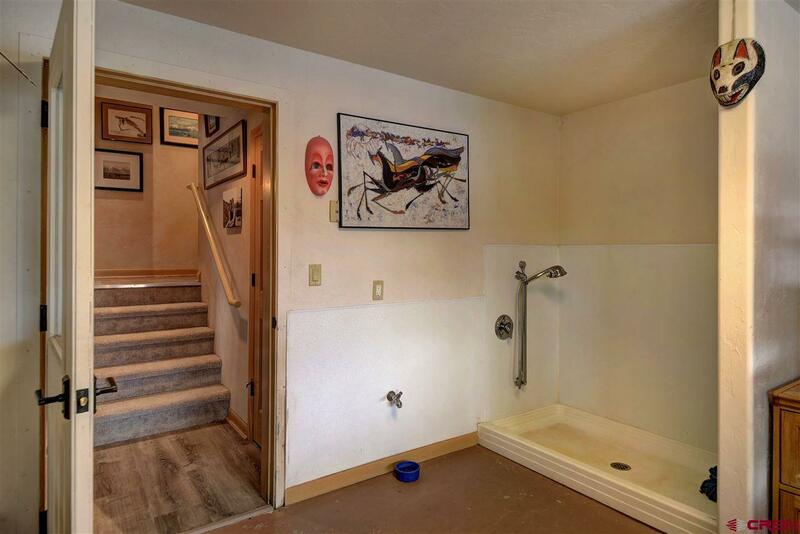 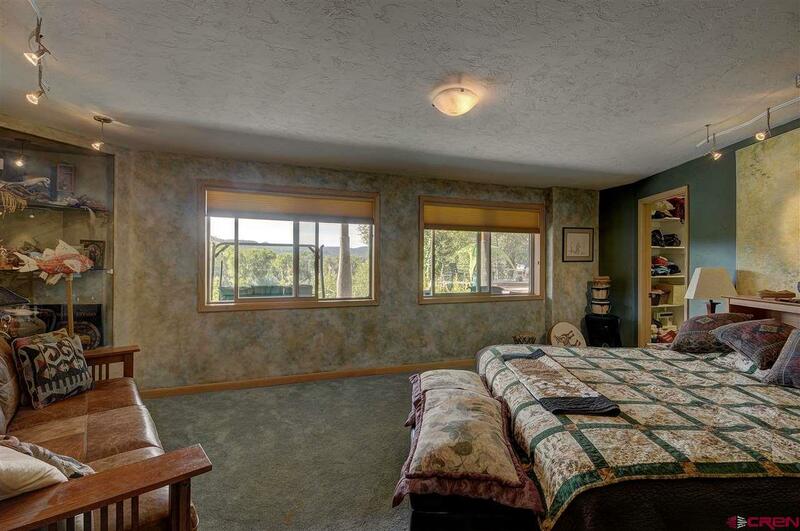 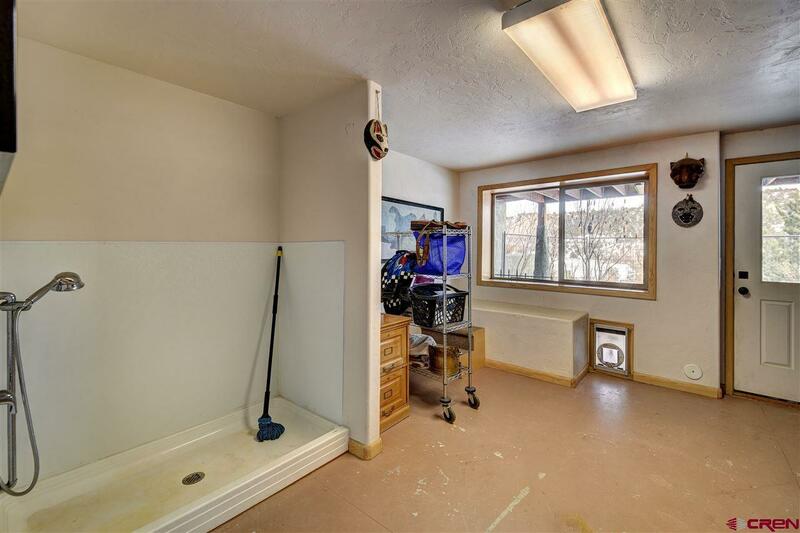 This walk-out basement has access to the additional wraparound lower level patio.